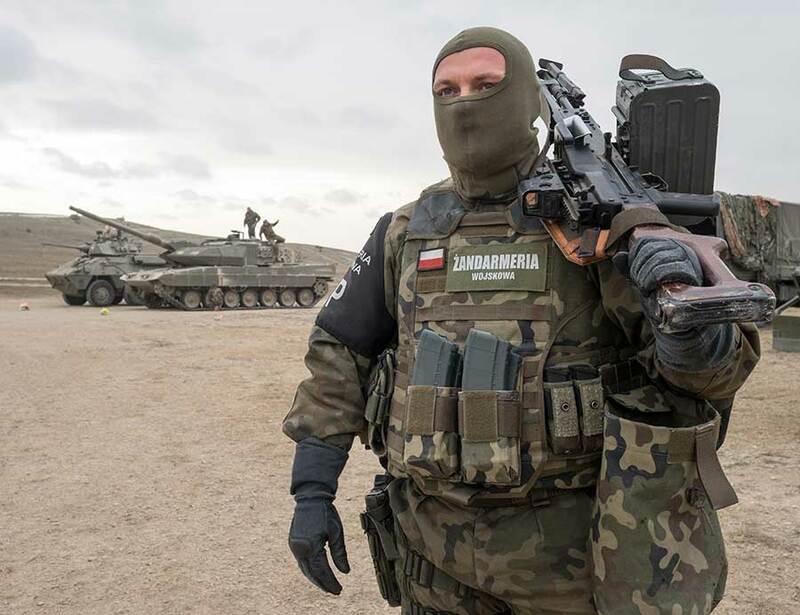 WARSAW, Poland (BulgarianMilitary.com) – Last week, Poland approved its largest plan to modernize its army in its history, learn BulgarianMilitary.com. According to the document prepared and signed, Poland is starting to modernize at all levels. The most important program, according to Braschak, is the Harpia program – the purchase of 32 fighters from the fifth generation. After it comes “Narev” (for small and medium range missiles), “Cruke” (for attacking helicopters) and “Orca” (for new submarines). The “Vistula” (which began 11 months ago) will have to reinforce the zenith defense against pilot and unmanned air attacks, as well as a tactical short-range missile attack. “Griff” is an armament program with medium-range unmanned tactical airsets, and “Vagka” is for drones for use in urban environments. “Flame” is for acquiring intelligence aircraft. “Munsikapal” is the name of the defense ships program to replace the aging fleet and be able to cooperate with allies and coalition partners. “Regina” is a 155-mm artillery plant, with Huta Stalowa Wola (HSW) the local contractor. There are also 120-mm mortars made by a consortium of HSW with ROSOMAK. “Homar” should arm the Polish army with several battery-powered rocket launchers at a distance of 70-300 kilometers. “Hust” must upgrade the anti-tank missiles with modern, light and efficient, and the handing of them does not require complicated training. “Borsuk” is the replacement program for a new combat machine based on a modular chassis manufactured in Poland and capable of replacing old Soviet BMP-1. “Mustang” is the last-mentioned program and it is for tracks and off-road cars. This year, up to EUR 2.6 billion of upgrading modernization costs are foreseen. Each year this amount will increase, reaching 6 billion euros in 2025. In mid-February Warsaw bought 20 US 300-kilometer telephoto firefighting systems worth $ 414 million. Last year, a contract for armament with Patriot systems was signed for $ 4.75 billion.